Flies are understandably a frustrating pest in your home and office, yet with over 700 different species of fly in the UK alone, it can be confusing to identify which has entered your business premises. Envirosafe Pest Control Ltd are professionally trained to identify which fly type is causing the issue, before implementing the appropriate treatment to remove them. As well as removal, we can also identify the cause of the fly infestation and make recommendations that will help you in the future. Fly infestation can be a fast-growing problem and recurrent flies persist without professional help. 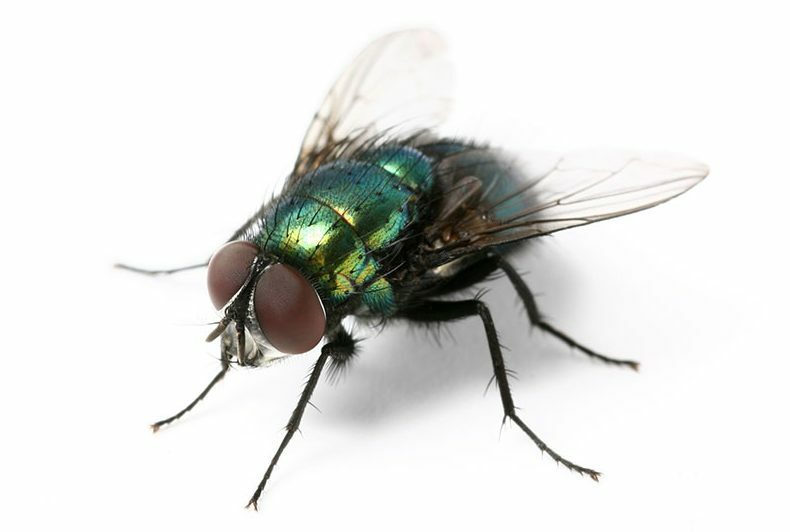 Although your common flies such as bluebottles and houseflies aren’t directly dangerous to humans, they can carry diseases such as gastroenteritis, salmonella, cholera and typhoid, so need to be removed from your property as quickly as possible. At Envirosafe Pest Control Ltd, we regularly supply and install electric fly killers and fly screens to schools, restaurants and manufacturing premises across London and the South East, ensuring they meet current legislation and keeping their sites free from pests. We can install fly screens for the warmer months to prevent flies from entering your premises. Our technicians will also spray any area that is encouraging activity with a safe insecticide and give you advice for future prevention. We include a 30 day guarantee with our fly extermination services. For full details, please look at our terms and conditions page. If you have any questions regarding fly control, you can get in touch with us using the contact form below.